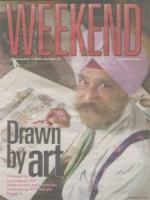 Look for KP Singh at art fairs in the Indianapolis area over the coming months, where he will be exhibiting his exquisite hand-colored drawings and prints. This will be the 48th consecutive year that KP has participated in these art fairs. A transcript of KP’s commencement address is available online. “I am delighted to inform you that you have been nominated by the faculty, staff, and Board of Visitors of Jordan College of the Arts at Butler University, and selected by the Jordan College administration, to receive a 2016 Legacy Award. Artwork makes an excellent, memorable, and lasting gift for celebrating birthdays, graduations, retirements, holidays, and other meaningful occasions. 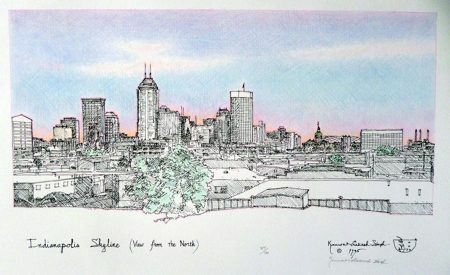 If you are an art enthusiast, collector, or holiday shopper, consider KP Singh’s drawings of Indiana landmarks, and architectural monuments from around the world. 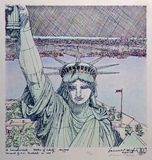 Over the past four decades, his finely executed pen and ink drawings have graced many magazine covers and publications, and his artwork is now included in many private and public collections. For those of you in need of a gift for your college graduate or friend, please consider KP Singh Artwork. See the SlideShare document below for a presentation of selected drawings. K.P. 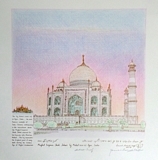 Singh's distinctive pen and ink drawings of historic architecture and monuments from the Far East, India, Europe, the USA and Indiana attempt to reflect the spirit and original elegance which inspired the design of these architectural landmarks. 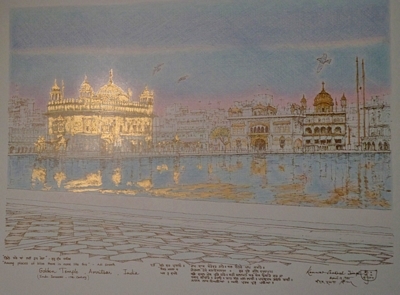 Mr. Singh's finely executed drawings combine the skills of an architect, artist and historian. His works are represented in many public and private collections in the USA and over twenty-five countries abroad. 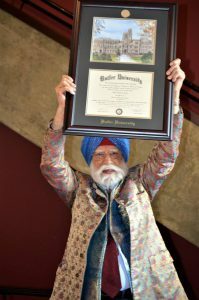 Born in India, Mr. Singh came to the United States in 1965 and has made Indianapolis his home since 1967. K. P. Singh specializes in pen and ink drawings of private residences, public institutions and a wide range of subjects. 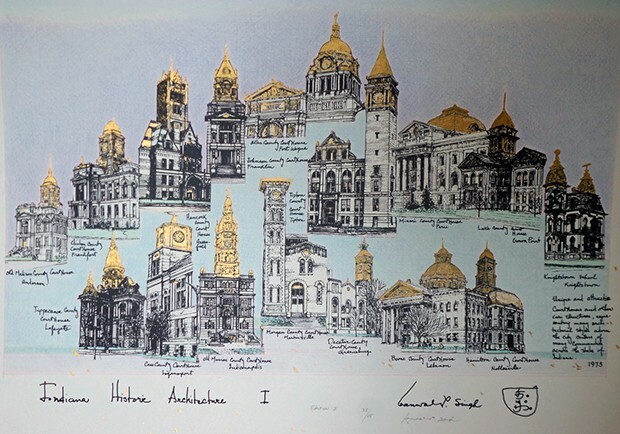 His artwork is often used in fund-raising and to heighten public awareness of our architecture and community institutions. 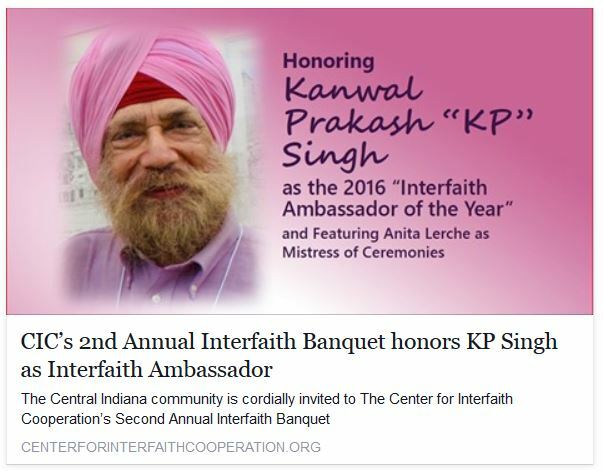 Singh is an enthusiastic advocate for historic and cultural preservation and interfaith matters. His recently published book The Art and Spirit of K.P. Singh ~ Selected Drawings and Writings highlights many of these themes, which are often discussed in his public speaking engagements. Educated in India and at the University of Michigan in architecture and city planning, Singh is the recipient of many awards including the Daverman Merit Award in Architecture from the University of Michigan. "Surrounded by ancient architecture and artistic creativity while growing up in India, he conceived a desire to capture the architectural legacy of man thorugh his pen and ink drawings. His style has been influenced by the Old Masters. He presents his subjects in close-up, highlighting detail and splendor, challenging the viewer to explore the spirit of the building's original creators. Sensuality of line, texture, landscaping and intricate architectural details, interesting spatial arrangements, script as an integral element in design and an intensity of line and form are hallmarks of the Singh artwork."